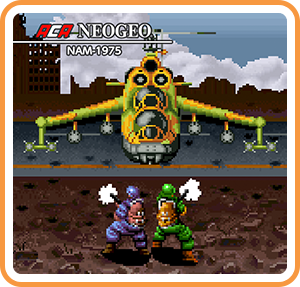 "NAM-1975 is an action game released by SNK in 1990. It was one of the first ever games released on NEOGEO! Players will take on the role of U.S. Special Forces soldiers braving a harsh battlefield as they try to survive a series of deadly firefights.Players will need to use collectible power-ups and other abilities such as their evasive roll to complete their mission!" Where can I buy ACA NEOGEO NAM-1975 physical/digital?